Since the second half of the 19th century, Armenians living in the west side of Armenia (under the control of turks), as well as all the Armenians, Greeks and other ethnic minorities living in turkey, were constantly subjected to massacres ordered by sultan hamid, known as the “red sultan”. Reason? 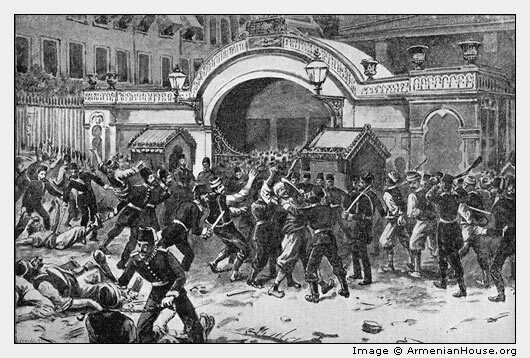 Small protests against the tyrannies of the sultan, led by the turks, to whom joined small numbers of Armenians and other ethnic minorities, as a result of which died many more than the original participants. 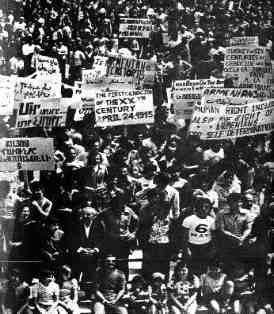 The situation was unbearable, even for the turks, so, a new generation of turks, fed up with the way of life in turkey, formed a huge organization and called themselves the “young turks”, promising reform in turkey and peace to all its citizens. They acted as the voice of reason, so naturally, all the oppressed minorities followed them. They held true to their promises. They did revolt against the “red sultan”, sultan hamid, who was gradually losing his powers, and now was beginning to be known as the “sick sultan”. By now, the ARF (Armenian Revolutionary Federation, known as the Tashnag) was formed, which produced a lot of “Fedayi“s. Armenian Fedayis. 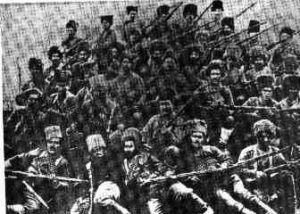 Armenian Freedom Fighters. FEDAYI’s are Armenian countrymen, who devote their lives to their sweet country ARMENIA!! they hold a rifle in their hands, and a cross on their necks!.. their most prized possession in life was/ is their mother land ARMENIA… and their most precious GOAL / Mission in life was/is to live, fight and if need be DIE for ARMENIA!!. The young turks did not like the multiculturalism in turkey. Their biggest goal was to establish a turkish turkey: pan-turkism. They did not like the fact that there were a lot of Armenians in high places, earning their living and so living better than them. Of course, this was one of the minor reasons of the anger the turks had towards the Armenians. There were a lot more prejudice and discrimination as well.